Review: The trail was quite fun, with a few jumps, lots of switchbacks and one steep drop on the right of a Y cross (my dad sprained his finger on that one!) The expert sections were all pretty hard, and overall no complaints. Review: Raced the Jail Trail today as part of the Minnesota Mountain Bike Series. 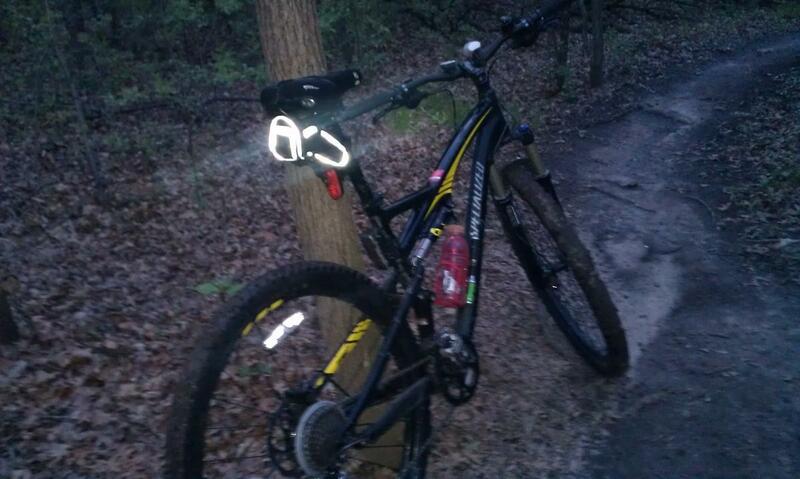 Enjoyed the trail. Felt fast today. Pretty flat with tight tree lined trails and lots of tight turns. The section we section wasn't very technical. System seems well maintain and marked. Wouldn't drive a long way to ride but worth a stop if you're in the area. Review: Best trail I found in St Cloud. Easy loop is twisty fun ride with part being closed due to construction. The Expert spurs are ridden less which makes it even more challenging and fun. Definitely worth of checking out if you're in the area. 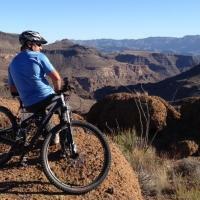 Review: Great trail for the area, good beginner to intermediate rider trail. Most corners are tight so it can be hard to carry speed and a couple turns are covered in loose sand so you just need to look out on a few corner so you don't lose the front end. Review: The "Jail Trail" (a.k.a. "North Loop") is 7 miles of super fun, very tight, twisty dirt singletrack, just across the river from downtown St. Cloud. These are very narrow trails - there are several spots where wider handlebars nick a tree on each side. No sustained climbs - most of the trail is relatively flat, with shorter/punchier climbs. It's very fun to attempt to ride this trail as fast as possible, given its narrowness. The main loop has a few rocky sections and some very rooty sections, as well as about a half-dozen short optional-lines: technical rock gardens, drops, etc. There is also one longer expert trail ("Twisted Sister") that weaves you trough some extremely tight turns and very rocky terrain. This trail is an absolute blast, and very well maintained! Review: A fun, fast set of trails! I really enjoy the couple expert sections but the flowy single track is awesome too. I wish they were a little longer and not as dug out in somespots but overall they are really enjoyable, fast trails that I'd recommend to anyone. Review: It's a fun short trail! Good choice for a quick ride. I think a little better maintaining would help. I like the range of technical options because you have the choice to skip them if your not ready yet. Overall a nice trail that I'd reccomend to anyone. Review: This is a bunch of super fast, fairly flowy, but not really a lot of hills but some. That's not to say that I cleaned the whole thing, I emerged dirty, bloodied, winded and sweaty. That's right, had a ball. Jail Trail MTB Trail 3.73 out of 5 based on 9 ratings. 9 user reviews.